Most of my music listening has gone wireless thanks to the use of Bluetooth speakers and headsets. However the one domain where I was still rocking it old school was in the car, where I still listen to my MP3 CDs. 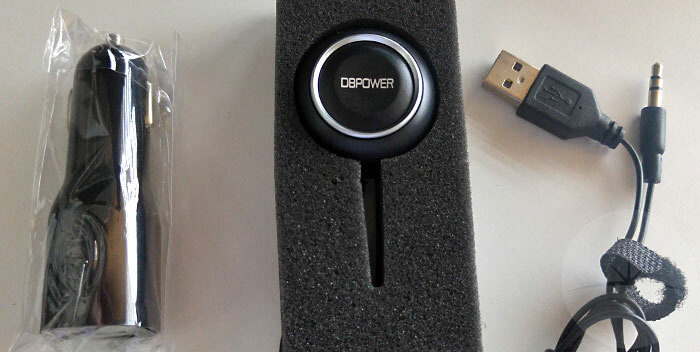 DBPOWER’s car kit is an inexpensive solution to wirelessly connect your phone to the in-car audio, but is it just an awkward workaround or actually any good? The BA-700 consists of a main unit with a big push button and microphone with wires for a USB power input and a 3.5mm audio jack output. You’ll need to make sure your car audio system has a 3.5mm AUX-in port before purchasing this kit. 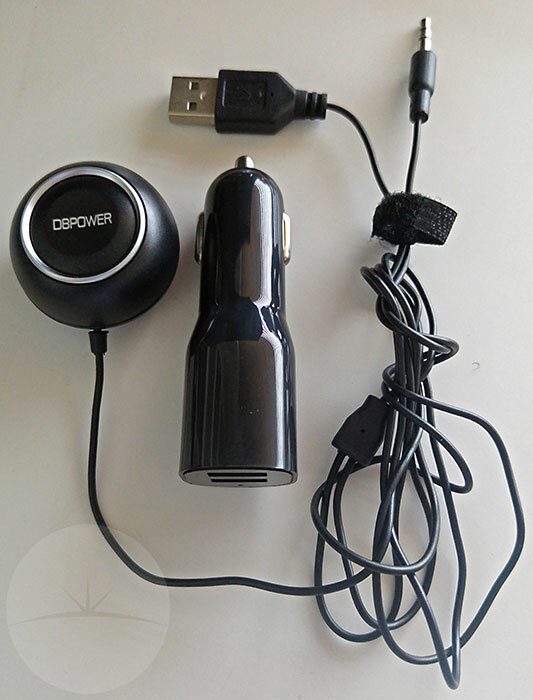 A dual-port USB car adapter is also included so you can connect the USB cable to the car’s power socket and even charge your phone at the same time. 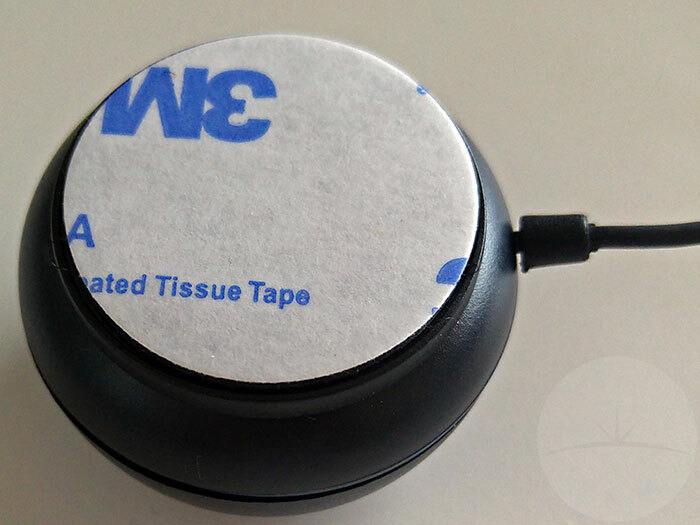 This main unit has a magnetic disc on the bottom with a sticky pad that can be stuck in some convenient place within your car. The button/mic can then be easily attached or removed from this position any time you like. 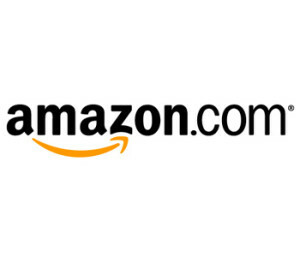 The device should be very durable as it has a good quality plastic shell and all wires and connectors seem well made. This solution has no internal battery and powers up along with your car’s power socket. In my case this means it powers on when I turn the key in the ignition. Connection with my phone is then automatic and it’s just a matter of pressing play on my favourite audio app. In operation the unit just uses an insignificant 16mA which won’t drain your car battery. With the audio getting passed through an analog cable I wasn’t sure how well things would sound. As it turns out I was totally blown away by the audio quality. There was absolutely no background hiss and music sounded every bit as good as when played directly from a CD. Unlike many Bluetooth devices there were no drop-outs while playing audio. I guess this isn’t surprising as inside the car the Bluetooth signal only has to travel a short unobstructed distance. 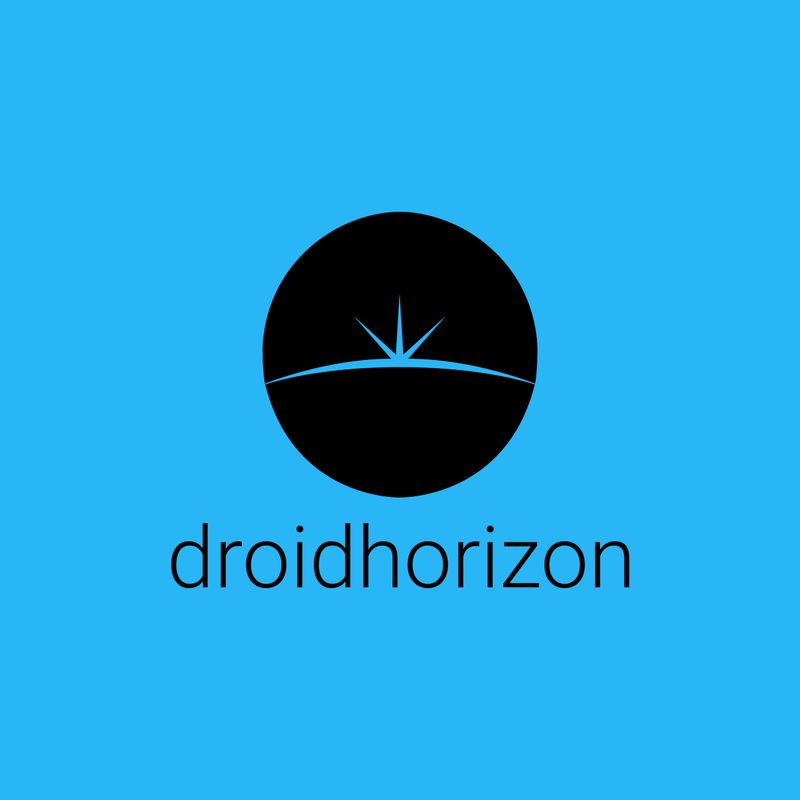 The button is nice and big making it easy to locate, and worked well for pausing or restarting audio playback on the phone. You can also give it a press to answer or hang-up any calls you receive. Again microphone quality was excellent, easily picking up my voice and letting me answer calls totally hands-free while driving. Even the USB power adapter has a full 2A output and quickly charged my phone at the same time as powering the BA-700. This is particularly impressive as DBPOWER could easily have got away with cutting corners and provided a less powerful single port adapter. 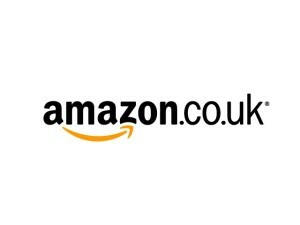 Currently priced at only £14.69 on Amazon UK and $26.69 on Amazon US, the BA-700 represents fantastic value for money. 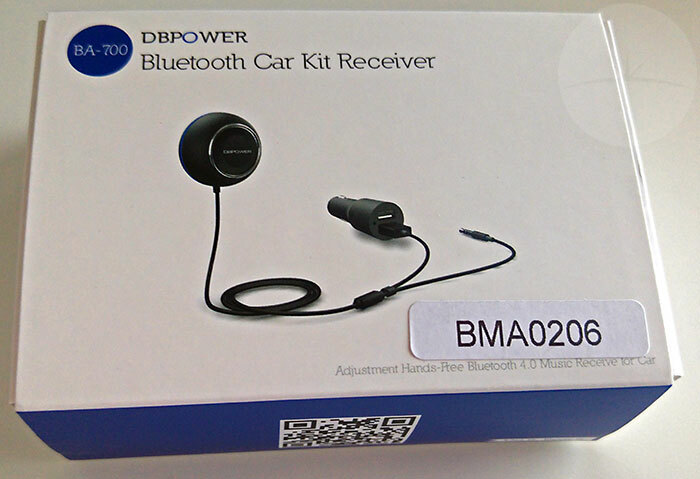 Overall, if your car has an AUX-in socket and you’re looking to add Bluetooth capability then the DBPOWER’s BA-700 is inexpensive, easy to fit and performs flawlessly. Exceeding my expectations, it effortlessly streams high quality audio from your phone to the car’s speaker system while allowing those hands-free calls that are vital when driving. If that’s what you’re looking for then I can highly recommend this car kit.